Once again, I report from the Thursday Morning Guys group I’ve been attending at a local church. Each week one of the guys suggests a topic for discussion. The blogs that result are not minutes from the session, but an attempt to glean useful themes, to which I may add my own insights. 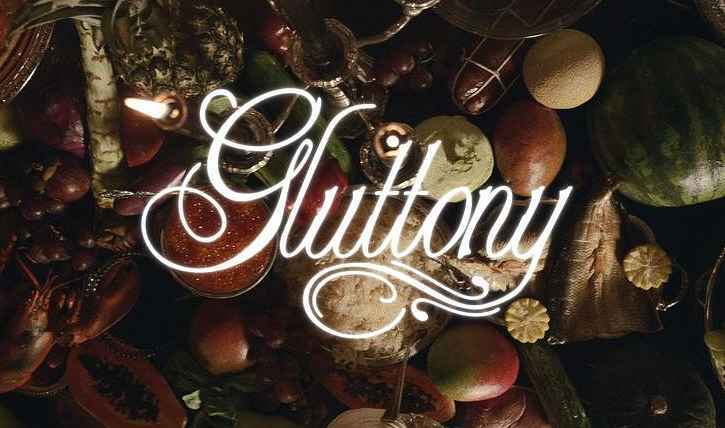 The topic at the April 26 session focused on gluttony, but from a different perspective than the term might at first suggest. Is your lifestyle picky? Everything just so. Is your lifestyle luxurious? Not wealthy, but the best of everything. Is your lifestyle speedy? No time to smell the petunias ever! Is your lifestyle excessive? More and more stuff. Is your lifestyle greedy? No time or thought for others. Instead of my usual approach of Conversation, Principles and Scripture, this week I will organize the comments around the five questions, with bullet points from our conversation and several Scripture references. I am making no attempt to generate principles, as with other blogs in this series—the five questions perform that function. From German heritage, likes things to be in order. Wife is more adventuresome. Another spoke of his “German curse,” even in retirement where he follows a routine that cannot be broken (including asking a friend to wait until he finished his usual nap!). Focused on planning—retirement, gravesites, etc. Likes change, as long as you change to what I like—difficult to change to someone else’s view. Wife is a perfectionist, but describes himself as a slob—spouse is what I am not, so opposites do attract! People don’t change until they face a crisis. Like to fix things myself. Is God disciplining me, or is it just because I’m stupid? Sometimes more expensive IS better because it lasts longer. Lesson of Job: God gets attention through pain, dreams. What things get in the way? Eats hastily, then returns to food quickly after a meal. Do have a lot of golf equipment. Does gluttony have an opposite—moderation. Can you moderate your gluttony? Not good at shopping, but does accumulate books. Can’t bring himself to get rid of old ones. Some foods, like dark chocolate. Likes to cook. Has a lot in the freezer, but not always what he needs. Easy to focus on projects, forget people. Can’t get projects done because of dog! Interruption scan be pets, not just people. Work is important, but we are social beings. In ministry, greedy for the work of the Gospel, but not relationships. Always looking for potential converts with greatest leadership ability, potential—became numbers rather than people. Moved several times, from one nice house to another, but selfish compared to friends who stayed behind and had family nearby. Now, back in area, with time for grandchildren, friends. What did Jesus do, tell us to do? He spent time with the marginal and disenfranchised. We need to follow his example. What should a Christian lifestyle be like? Live moderately, with a light touch. Have been reading C. S. Lewis’ “The Problem of Pain.” Pain is God’s megaphone. How does God get my attention? “God slam-dunked me” with serious illness. Jesus said that whatever we give up—children, family—we will get back twofold in this lifetime. Challenge: what will be the return of giving up things we hold cloes? Whenever we pursue something other than God, it gets in the way. Pursuing God has its benefits. My wife is usually right when she expresses a contrary view.